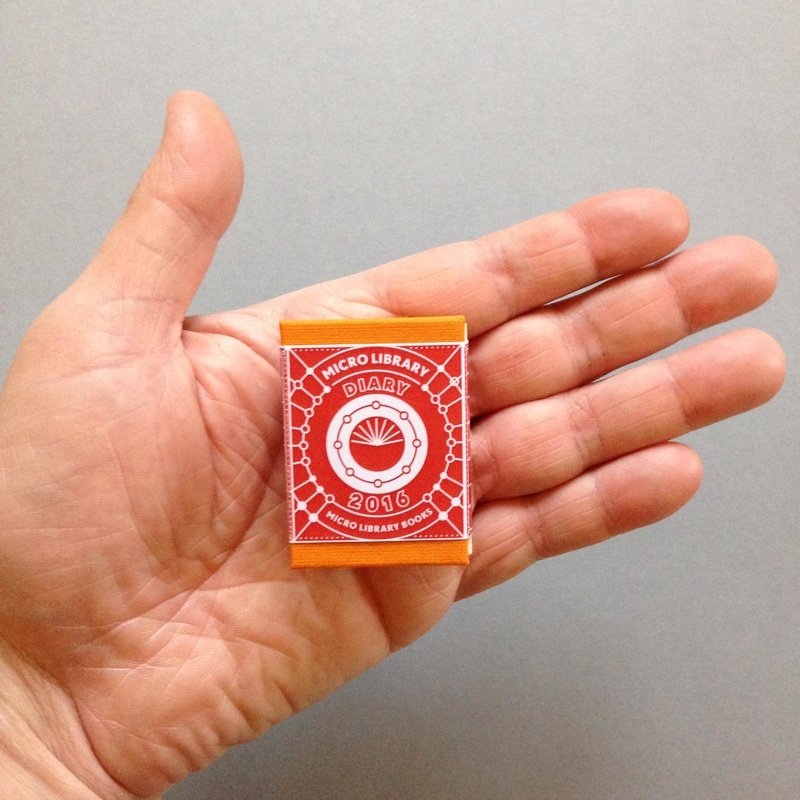 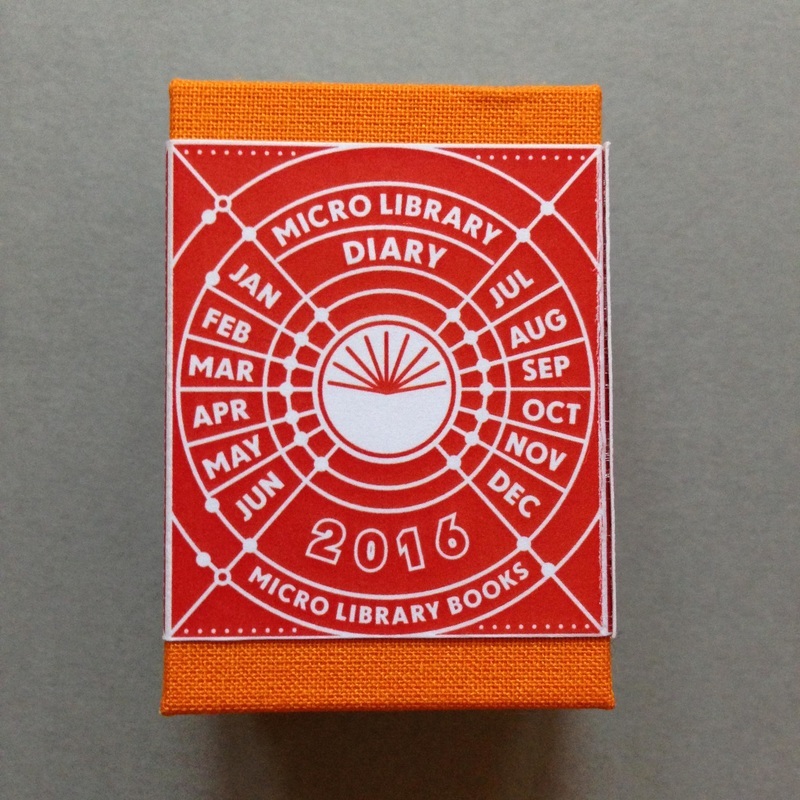 The Micro Library Diary 2016 is a limited edition hardbound miniature book, with tangerine-coloured rayon cloth covers, wrapped in a printed-paper bellyband. The diary is made up of 116 ivory-coloured, concertina-folded pages printed with a 12-month week-to-view layout, with space for notes and sketches on the reverse side. 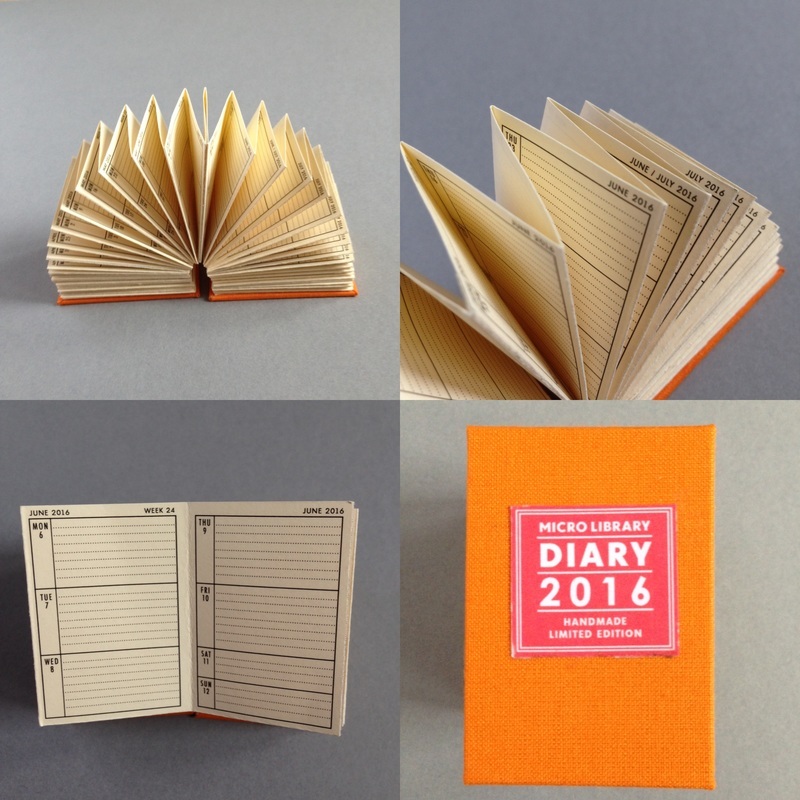 This pocket journal is entirely useable on its own or as a miniaturised companion to a work, school or home diary. The diary is made by hand from four sheets of printed A4 paper, which have been scored, folded, cut, glued and assembled into the pocket-sized Micro Library Book accordion-folded format, making this edition strictly limited, and made in small batches. 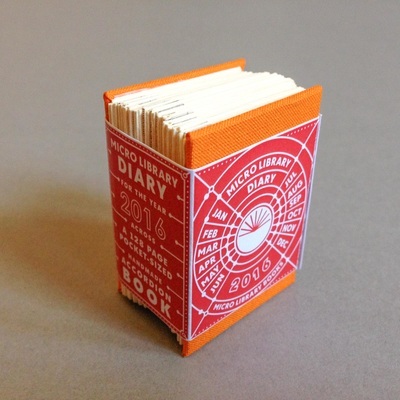 When ordered, the diary is neatly packaged into a 4-inch card parcel along with a numbered owner's certificate and a Micro Library Books badge, making it an ideal gift.